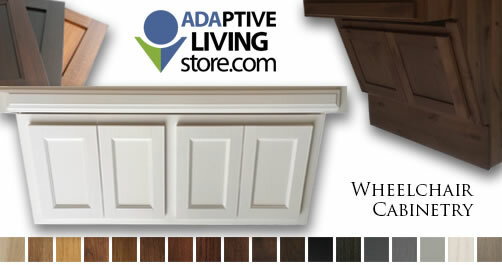 The Adaptive Living Store's Wheelchair Accessible Bathroom Vanities are made from high quality hardwoods, affordably priced and designed to provide valuable storage space while protecting you from contact with drain pipes and water lines. With a generous selection of door styles and finishes to choose from, the Adaptive Living Store makes creating a beautifully appointed accessible bathroom exciting and easy. 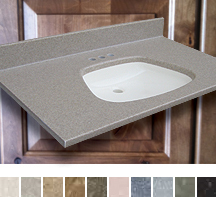 Design your accessible bathroom with over 50 available sink top colors. ADA sink tops are designed to compliment our ADA Wheelchair Accessible Vanity Cabinets.